The thing is, I've had these photos just sitting here for ages, so I thought I may as well share them! Sure, it's not the most exciting outfit ever, but it's one of my favourites, and showcases a few of the very well worn items in my Autumn Capsule Wardrobe. 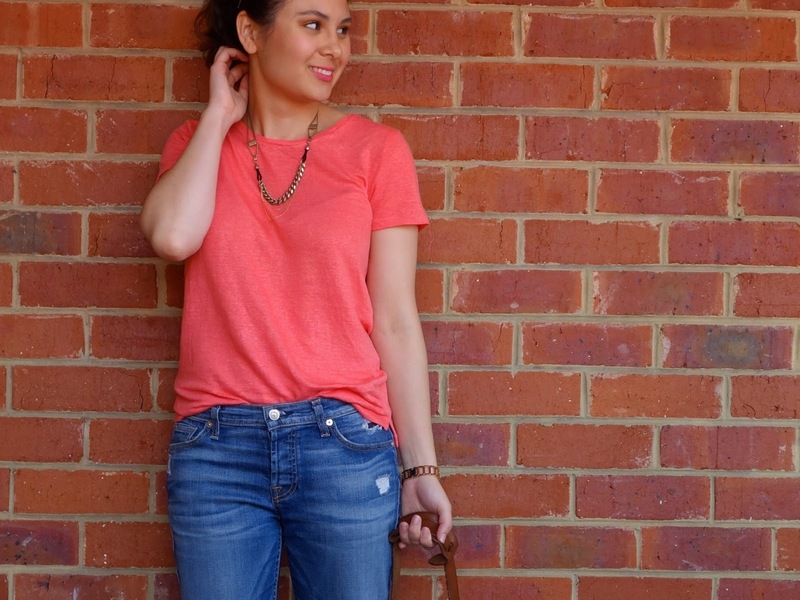 My go-to boyfriend jeans (the comfiest jeans ever! 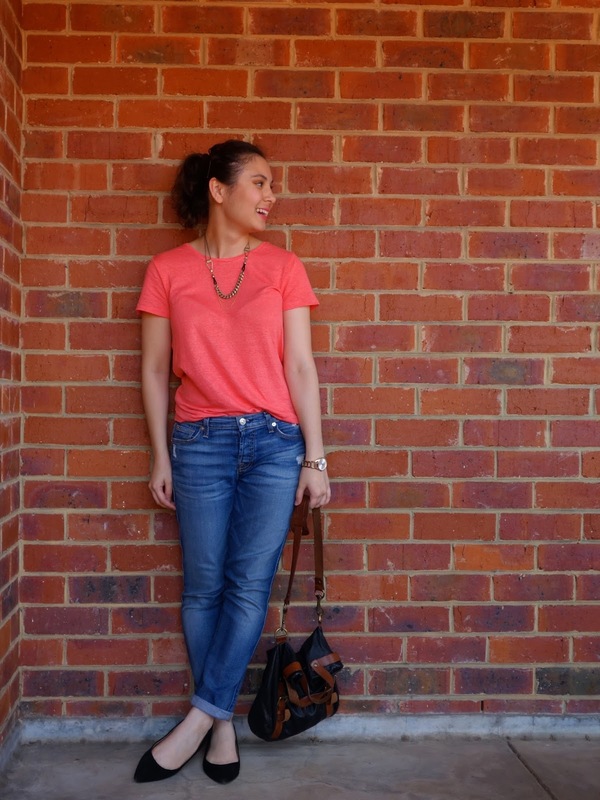 ), a simple but bright top to add a splash of colour and fun, and my trusty black pointed flats. The capsule wardrobe experiment is still going strong, although I have to say I am missing my summery dresses now that the cooler weather has hit! Anyway, I hope you're having a great Monday night! Glad to see you return whatever the format! I really like those jeans, I have yet to find a pair of boyfriend jeans that don't make me look like a total frump. Doesn't stop me from wearing them though!